Menage Total Professional Carpet Cleaners is a reliable Carpet Cleaning Montreal based company, providing high-quality cleaning services. Menage Total Carpet Cleaning Montreal cover all areas of Montreal. A family a runs a business, working 7 days a week, including bank holidays. 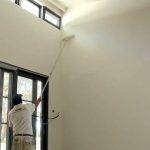 Menage Total Montreal, Laval, Longueuil carpet cleaners have many years of professional experience in commercial and residential cleaning. Menage Total Professional Carpet Cleaners offer their Professional Carpet Cleaning Services to all Residential or Commercial clients, working with house owners, landlords, Tenants, workplaces, Estate Agents etc. Menage Total Professional Carpet Cleaners certified carpet cleaners can handle without any problem with all kinds of textile flooring – from wall to wall to Persian and Oriental carpets. Menage Total Professional Carpet Cleaners recommend cleaning your carpets by professional carpet cleaners at least once a year. The main reason for this recommendation is due to the build up dust and bacteria, which could cause health issues. There are many different types of fabrics and materials used today for carpets. Menage Total Professional Carpet Cleaners hot water extraction machines which are the best equipment for steam carpet cleaning services on the market in Montreal, Laval, Longueuil & West Island. 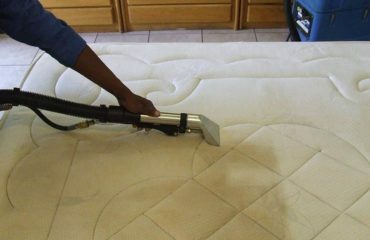 Menage Total Professional Carpet Cleaners know which machine and chemicals are best for your type of carpet. In their residential or commercial cleaning services Menage Total Professional Carpet Cleaners also use only professional green chemicals & equipment, which are safe, Green products, beneficial to allergy sufferers. · Finally where required we would utilize a Powerful Spot Treatment for any staying Stubborn stains, at that point leaving the Carpet to completely dry. 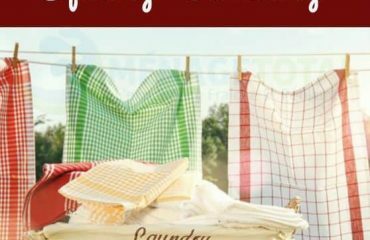 · Besides the high temp water extraction technique, we additionally offer a laundry benefit for the more Delicate of Carpets. · On the off chance that you need your rugs to be as perfect as conceivable without sitting around idly then look no more remote than the Dry Carpet Cleaning service that Menage Total offer. 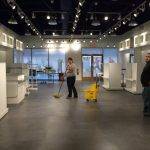 · As the name proposes, the Dry Deep Cleaning of floor coverings technique includes cleaning the cover while it’s dry. 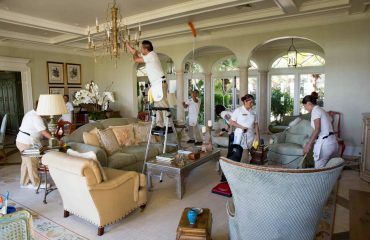 The procedure is somewhat straightforward and cleaning a cover utilizing this technique sets aside our group little opportunity to do. · Obviously, since the cover itself is dry, you’re likewise sparing a decent couple of hours that you would’ve generally spent sitting tight for it to dry. · Since it’s as yet a genuinely new technique the vast majority are hesitant to give it a shot. Rest guaranteed that our group will profound clean your cover without leaving a solitary spot of tidy behind. · Sparing time and exertion, Dry Cleaning is unquestionably the approach. On the off chance that you are searching for a speedy approach to altogether clean your cover without trading off the quality, this is your administration. So on the off chance that you have activities and you need to squander as meager time as conceivable on your cover, at that point call us and let our carpet cleaners take every necessary step for you. When we play out our Carpet Cleaning Montreal, Laval, Longueuil & West island Services Menage Total will constantly just utilize Eco-Friendly Cleaning items. Menage Total trust that Eco-Friendly items are the Safest for the greater part of our clients. Most cleaning Chemicals contain a ton of Toxins. Eco-Friendly items are less Toxic and leave a Pristine clean without that frightful Chemical Smell and don’t make terrible Fumes. 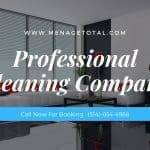 Menage Total will do our best to fulfill yours with our cover steam cleaning strategies and techniques. On the off chance that for any reason you are not content with the outcomes Menage Total will re-clean for you for FREE! Menage Total objective and the most vital thing is 100 % consummately cleaned cover, 100 % consumer loyalty and a positive audit of Menage Total work. Cover recolor evacuation and pre-treatment are completely free for you. Toward the finish of the way toward cleaning your floor coverings Menage Total cover cleaners guarantee you fast drying time.